1. 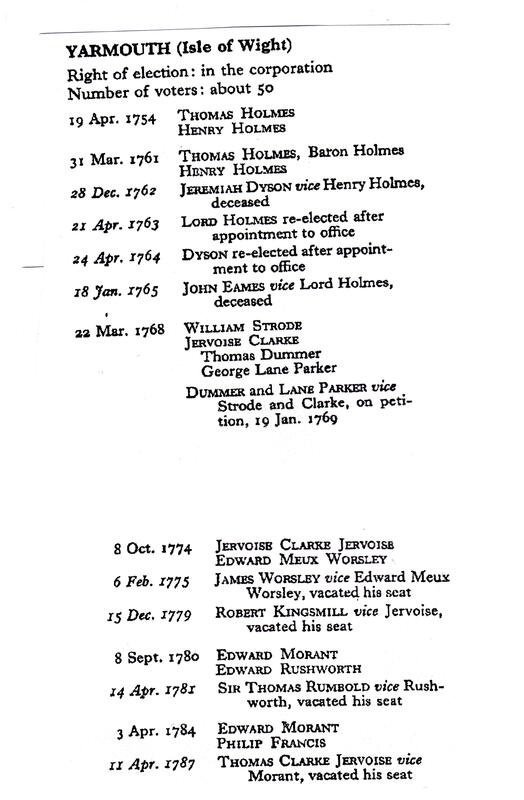 Elizabeth TYRRELLL was born circa 1735. She married Leonard Troughear HOLMES circa 1759. She died on 14 May 1810 in Newport, Isle of Wight. She was buried on 21 May 1810. Catharine HOLMES (1765-1829). Catharine was born in 1765. She was baptised on 20 September 1765 in Newport. She had the title 'Hon.'. She married Edward RUSHWORTH on 28 August 1780 in Calbourne, Isle of Wight. She died on 9 December 1829 in Bowcombe Cottage.